SETTLEMENT INFORMATION<br><br>We offer a wide range of services to help you settle into Hamilton, as well as printing & computer access. Please contact us for more information. INTERPRETING & TRANSLATING SERVICE<br><br>Providing Solutions in over 50 Languages. TRANSPORT EDUCATION<br><br>Community driving school & Cycling programmes. VENUE HIRE<br><br>3 Rooms available for hire, with views & access to Claudelands Park. ENGLISH LANGUAGE EDUCATION & SUPPORT<br><br>Contact us for more information. MIGRANT EMPLOYMENT SOLUTIONS<br><br>For skilled migrants & international graduates. IMMIGRATION / LEGAL ADVICE<br><br>Free advice available every Wednesday. By appointment only, come in to register. JUSTICE OF THE PEACE SERVICE <br><br>JP service available Monday – Friday from 12- 5pm Call us to make an appointment. FORM FILLING ASSISTANCE & ADVICE<br><br>Assistance available in a range of languages during the week. Contact us for more information. 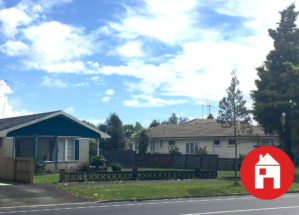 HOUSING NEW ZEALAND CLINIC<br><br>Fridays from 9am -10am. No appointment needed. POLICE ADVISORY<br><br>Every Monday from 9am-11am. No appointment needed.